Burt's Bees has come a long way while always staying true to their philosophy: what you put on your body should be made with the best that nature has to offer. Not only do their products offer natural goodness to people around the world but they are also safe on our planet. 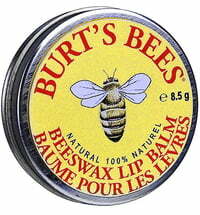 Burt's Bees was established in 1984 when the artist Roxanne Quimby purchased beeswax for her candles from Burt Shavitz, the "Bee Man", and thus, one of the most successful natural cosmetic companies was born. 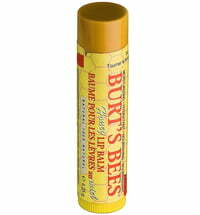 The famous Burt's Bees Lip Balm was introduced in 1991 and has become a cult item far beyond the world of natural cosmetics. 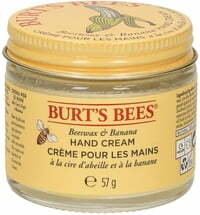 Their body care products were launched in the USA in 1998 and the following year, Burt's Bees took a leap by shipping his products outside America. Burt's Bees' reputation has skyrocketed since then. In 2006 a total of 30 new products were launched across their product lines. The company's philosophy is reflected in their products. The ingredients are kept as pure and near to their natural state where possible, making 99% of their assortment certified natural. The remaining 1% is mostly linked to preservatives where regretfully there are very few natural alternatives. The synthetic components have not been tested on animals and do not pose any health risks. Burt's Bees has committed to sending zero waste to landfills. Not one piece of trash has landed on the rubbish pile. Emphasis is placed on recycling, and waste byproducts are converted into biomass-based fuels, electricity and even cement. Social engagement is highlighted. Burt's Bees lends their financial support to communities in which the company is located, while also doing charitable deeds during working hours. Employees have the opportunity to take part in free yoga classes during lunch breaks and are encouraged to take time off to do something good for the planet that does so much good for us. This philosophy also applies when deciding which suppliers are selected. A code of ethics needs to be upheld: suppliers must guarantee to comply with the laws of human rights, uphold environmental protection and guarantee safe working conditions for their employees. Burt's Bees personally inspects the suppliers to ensure that the code of ethics is upheld.